Remember a few weeks ago, when I mentioned I was starting an exciting new project, and I promised to announce it on March 1. Well, I’m excited to announce that I am becoming a multi-genre author! 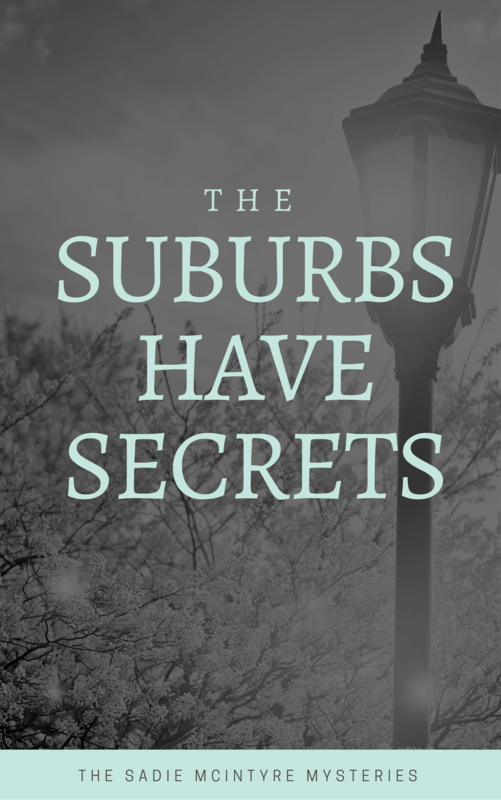 This fall, I’ll be releasing a new mystery series featuring amateur detective Sadie McIntyre. Sadie is Woodbridge, Massachusetts’ seventh best real estate agent (out of seven) as well as the town’s most reluctant amateur sleuth. She also has a very big secret to protect. Over the next several months, I’ll be sharing tidbits about the project – exclusive excerpts, behind the scenes fun, etc – both here and in my newsletter. This is my first independent publishing project, so I’m sure there will be a lot of ups and downs as I try to learn the business. Knowing me, I will make more than couple mistakes. I’m excited however, to be in control of a series that I’ve wanted to write forever. For those of you who like my Harlequin Romances, do not despair. I’m still writing them as well. In fact, I’m halfway through a Christmas story for this fall as well. I hope you’ll check out my mysteries though as well. Like I said, I’m wicked excited to be branching out. PS: This isn’t the real cover, by the way. But I wanted a cool graphic for my announcement. How exciting! Looking forward to reading the book and reading more about your indie journey. WOW, congratulations Barb! That is a seriously creepy and intriguing cover 🙂 Best of luck to you, and can’t wait until your release! *bounces uncontrollably* I’m so flipping excited for this. Your voice is sooo amazeballs in this story.